There’s a strangely popular and wholly inaccurate post going around LinkedIn and other social media that generates tons of likes and shares – this, despite the post’s complete break from reality. I suppose it’s liked so much because it attempts to equate the demise of every industry to bad customer service and not technology; even when the reverse is painfully obvious. Netflix did not kill Blockbuster. Ridiculous late fees did. Uber did not kill the taxi business. Limited taxi access and fare control did. Apple did not kill the music industry. Being forced to buy full-length albums did. Airbnb did not kill the hotel industry. Limited availability and pricing options did. Amazon did not kill other retailers. Bad customer service and experience did. Technology by itself is not the real disruptor. Being NON-customer centric is the biggest threat to any business. Netflix killed Blockbuster. End of story; it had nothing to do with “ridiculous late fees” and everything to do with (at first) easily getting a DVD delivered/returned versus having to drive to a strip mall; and (now) unlimited streaming on demand on any device for a monthly fee equal to about 3-4 rentals at a Blockbuster. Uber is killing the taxi business (and the rental car industry). Uber and Lyft are succeeding because they’re always more convenient and (except during surge pricing periods) always cheaper than taxis or rental cars. They are more convenient because of technology and they’re cheaper (for the most part) because they pay their drivers less and they have lower overall costs than what a heavily-regulated taxi industry must pay. Apple did not kill the music industry; this is true, the “music industry” has adjusted to the new consumption model created by technology. Apple did, however, effectively kill the offline retail sales of music CDs (and I think that’s what the author meant). Apple (along with Napster, Sirius, Pandora, and others) killed the retail music CD business because their delivery of music is more convenient and much cheaper than the old retail model. This had nothing to do with anyone “being forced to buy full-length albums;” as most music retailers offered competitively-priced CD singles that proved to be unconscionably inconvenient for users (who the heck wants to change CDs after every song?). Airbnb did not kill the hotel industry, this is true. In fact, the hotel industry is doing just fine, thank you. Not sure why the author assumed that anything killed the hotel industry – perhaps it’s just wishful thinking. But, virtually all hospitality companies (from mom & pop B&Bs to large chains) are doing just fine and have enjoyed rising occupancy and room rates since the recession. So, the incorrect and strangely meaningless notions of “limited availability and pricing options” are just far too moronic to address. Amazon absolutely killed other retailers. Don’t believe me? Okay, let’s start where Amazon started, with bookstores. Amazon killed nearly every bookstore in America because of technology, price, and an unfair competitive advantage they enjoyed that no bookstore could match: Amazon got to sell you a book tax free. Anyone who believes that “bad customer service and experience” is what doomed America’s bookstores obviously never set foot in one. There was no better customer service or experience for a true lover of books than to visit their local bookstore where they could enjoy a cup of coffee as they sat in a comfortable chair and read (for free) the first chapter of a new release. Ultimately, paying full price for that experience versus ordering online at a 40% discount and no sales tax proved to be too much for even the most ardent book lover. Technology that delivers convenience and a price advantage absolutely is by itself the real disruptor. To believe anything else is simply naïve. Moreover, while “being NON-customer centric” can be a huge threat to any business, it’s not even close to the top reasons any of the above mentioned companies disrupted or are disrupting other industries. Given all of this, liking and sharing something that’s not true just because it feels like the right approach (the foolish wolf pack image and the famously incorrect sales meme come to mind here, as well) is akin to spreading fake news – especially on a professional networking site like LinkedIn. Instead of letting your emotions dictate what’s important for your network to consume, let your head decide and we’ll all become better at whatever it is we do as a result. « The Secrets to Growing Your Website’s Leads, Calls & Sales: Car Dealer Specials Pages: Wasted Online Real Estate! » Are Your Appointments Showing and Closing at 80% or Better? Blockbuster could have changed their business model to include a mail service but decided that the cost was too high. Retail record stores/Music industry could have let people buy singles and have them mixed onto one disc. By changing their stores to collaborative music venues where people could go, hangout and share music tastes with others would have created a whole new demographic perhaps. This would have helped with the transition to true digital services. Taxi companies could have pressured local governments to allow for more cabs and better oversight thus not creating the hole for Uber/Lyft to fill. By adding services (scheduled pickups, negotiated rates, flat fare options etc) and spending the money to market them also would have gone a long way. I believe that it isn’t just technology that changed the way we buy things but changes in societal values mixed with capitalism and flawed business models that did companies like Blockbuster and retail stores in. First; We have evolved into an ADHD society that wants things now. We don’t have the time (dual income families) to go shopping nor the enjoyment of it. Also media has changed our attitude towards sales people in general (has marked them as untrustworthy) because as a society we believe the negative narrative more quickly than the positive one. Future Shop and Best Buy, owned by same company but one was known for having commissioned sales people. 😉 Even after that changed it didn’t matter as public perception was still there. More and more people try to buy their car online to avoid dealing with a ‘slimy sales person’ at the dealership. Second; The real culprit is simple “greed.” Online retailers have people convinced that they will get better prices than local shopping and in some cases they are right…. AirBnB is greed finding a way to circumvent the requirements and taxes hotels face. The only people getting rich off it are AirBnB themselves and not the people who own the residences. And with places starting to tax them (Japan for example) it will be interesting to see it’s future. We have online pricing models that encourage online shopping even though the prices are matched in store. If the prices were advertised the same I wonder how many people would still contend with online shopping when they could go get it right away. Most the stores/ companies that have suffered try to maintain certain profit margins and business models rather than try to change practices to stay in touch with customer evolution. It is they who creating the openings for competitors. If anything it is the manufactures that hamstring local retailers by offering their own products cheaper at competing locations. Wonder why the Sony Stores disappeared? Perhaps because Future Shop/ Blockbuster had the same products cheaper. The only time I have had a store not match Amazon pricing was because the Amazon seller was the manufacturer. Blockbuster was already dead when Netflix took off, they just didn’t know it. I quit Blockbuster and video rentals when they charged me $6 late fee for a return by midnight rental that I turned in at 10 pm (I had the ticket to prove it). It took me three months to get my $6 back and I got no real apology from them. It was too late, I quit and I was one of Netflix first customers in 1999 and never looked back. The arrogance of their managers and the lack of customer service from Blockbuster itself mortally wounded themselves. Say it Percy: “Dead man walking”. People began to flock to Netflix by 2003 after some growing pains and the rest is history. From 1999 until 2003 Netflix had some hard times, but their unfailing desire to assist customers is what won you over. They were polite and listened. Actually, I agree with the original post. While technology and the ensuing advancements have had an effect, those advances alone didn’t cause the demise of these companies. It was figuring out how to utilize technology to create a better customer experience that is the culprit. I worked for a company that reacted to slowly to the how technology could and would effect the customer experience and thus they went ok it if business. So, it is very much a matter if being customer centric in strategy that makes the difference. 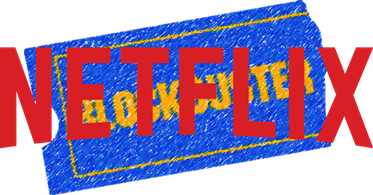 While Netflix certainly did contribute to Blockbuster’s demise, the real culprit behind Blockbuster’s death was actually Redbox. Blockbuster and Redbox are head-to-head competitors in the local DVD rental market. Netflix’s streaming service (at the time) was not a head-to-head competitor even though you can watch movies, but not brand new movies. Yes, Netflix does (and did, at the time) offer a mail-in DVD service and yes, people did use it. The difficulty using Netflix for DVD rental was it slowness, its inconvenience, packages getting lost in the mail and the sheer fact of having to drive them to the post office to mail them back… a hassle. Redbox, on the other hand, allows you to locally stop by any kiosk and immediately pickup and return movies at any time. Also, at the time when Blockbuster was still renting for $3.99-4.99 a movie, Redbox was renting for $1. Even Netflix couldn’t compete with this price, level of convenience and newness of movies. If you look at the timeline of when Blockbuster’s earnings begin to precipitously drop, it coincides almost directly with the 2002 startup of Redbox. Netflix’s DVD rental service started in 1997 and until 2002 had little impact on Blockbuster’s rental bottom line. It wouldn’t be until Redbox appears that Blockbuster starts to see a major dive in its rental business. It wouldn’t be until recently when Redbox got slammed with that several month studio holding period for new releases and that Netflix negotiated getting new films releases faster than Redbox that Netflix would jump ahead of Redbox for convenience. People watching rentals want to see that new release as quickly as possible… and they’re going to go to the service that gives them that. In 2002, that was Redbox. In 2018, that could be Amazon, Netflix, Apple, Hulu, Vudu, Redbox or any of a number of other studio operated streaming services. I think you are taking what was said too literally. Technology is a means to an end. Where did Netflix come up with the idea that streaming movies etc to customers is better than a customer driving to a store to pick up a DVD? First they asked people what the wanted and then worked out a way to deliver the service they wanted – so human centric design came first. The same can be said for all the items in the list. Thanks… now I feel like a complete idiot for sharing the original meme on LinkedIn! I agree with almost everything you wrote in this article. Netflix did kill BB, and that was BB’s fault, they could have adopted the same model, yet they chose not to. My perspective is that real estate killed BB. Apple, Napster, etc did kill the traditional music industry, and again, real estate is the problem. I agree with everything indicated about Amazon. Where I differ in opinion, slightly, is why Uber is beating the taxi/rental business. the reason I disagree is that taxi companies have adopted the same technology, and you can now order a taxi on your smart phone the same as you do Uber. The reason why Uber is better, at least from a customer service perspective, is that when I order an Uber, I am more likely to get a driver than can talk to me in my language. also, because they drive their own cars, I don’t feel the need to sit in the back seat in continuous prayer, waiting for that moment I may meet God. Thank you for displaying sanity when the idiots start creating their own narratives!!! !